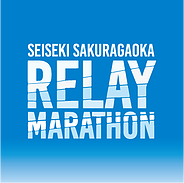 is the Race Director for the Seiseki Sakuragaoka Relay Marathon which takes place in May and there is also a Santa Claus Christmas version in December! 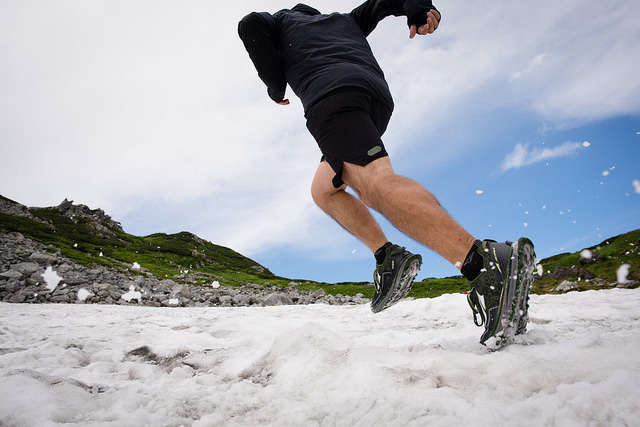 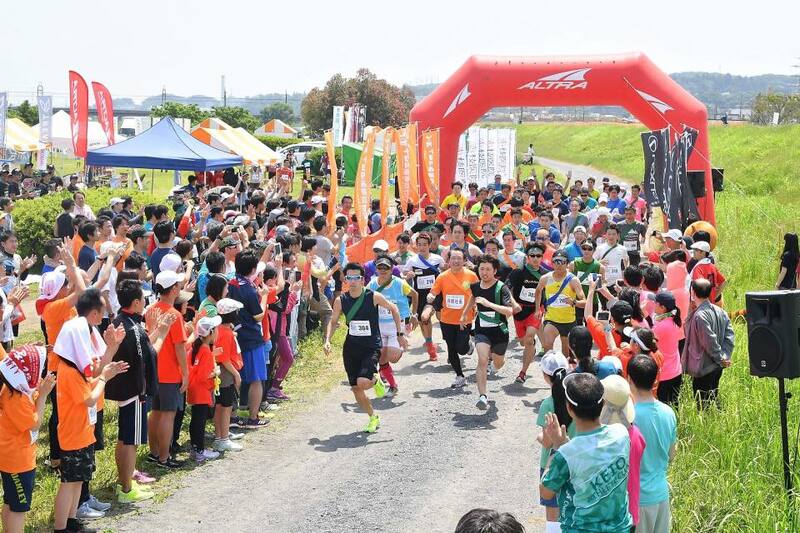 This May race takes place along the TAMA RIVER just a minute walk away from STRIDE LAB. 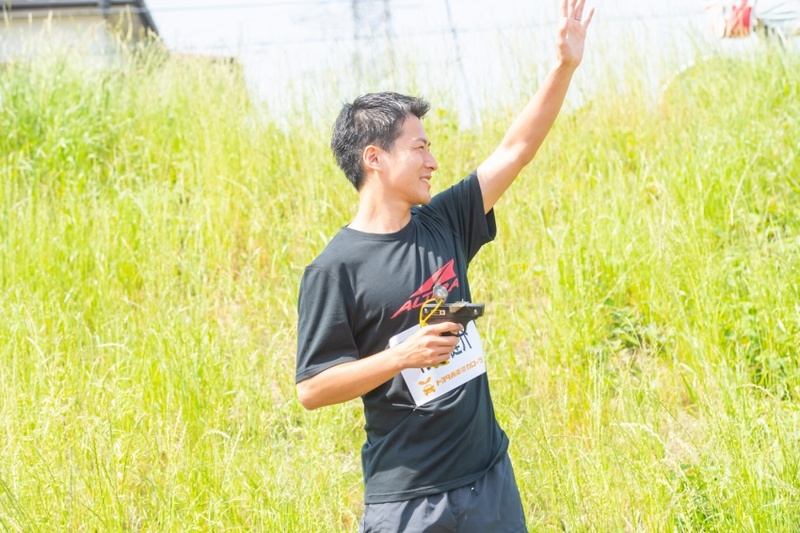 This race has a true neighbor feel to it and this year the weather was beautiful! 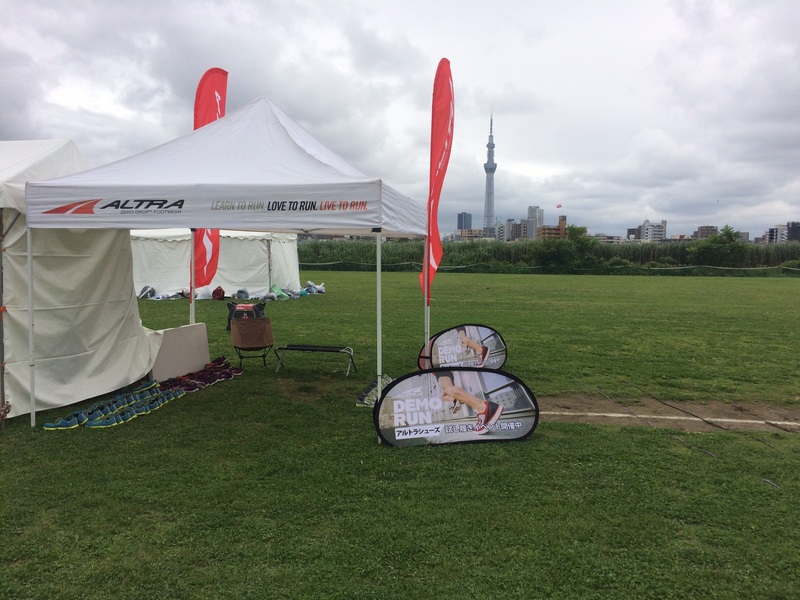 Runners checked in at Stride Lab in the morning before heading out to Tama River where the races were taking place. 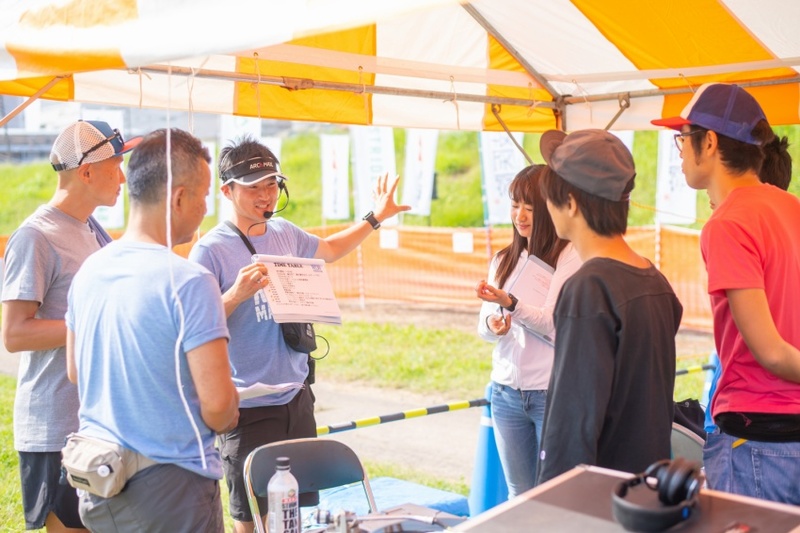 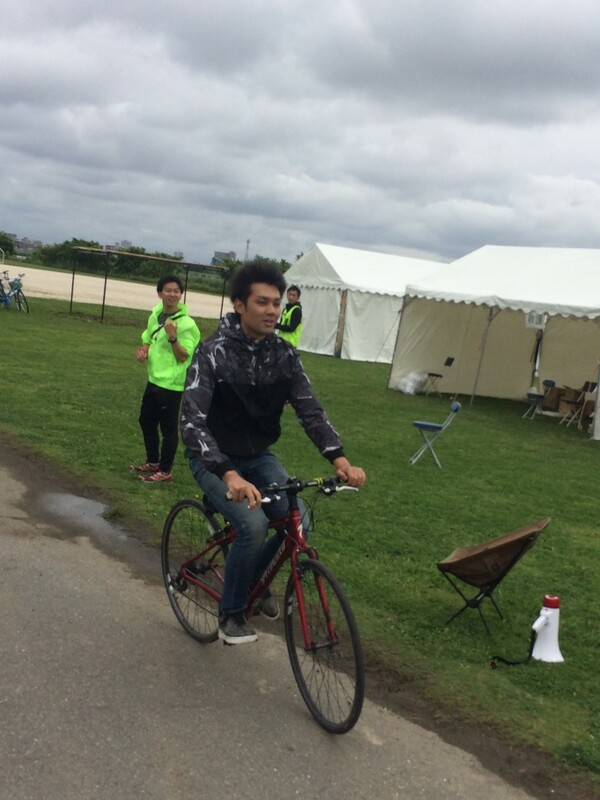 This year two guest Olympians (Kensuke Takezawa-Beijing/ Mika Yoshikawa-London) came as guest runners/speakers and Kensuke fired the start line gun for the race start. 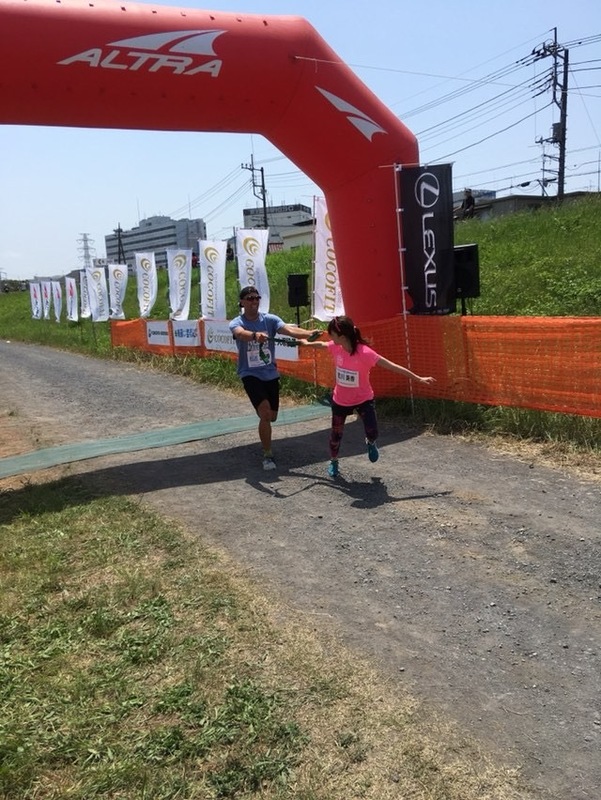 and the kids were off! 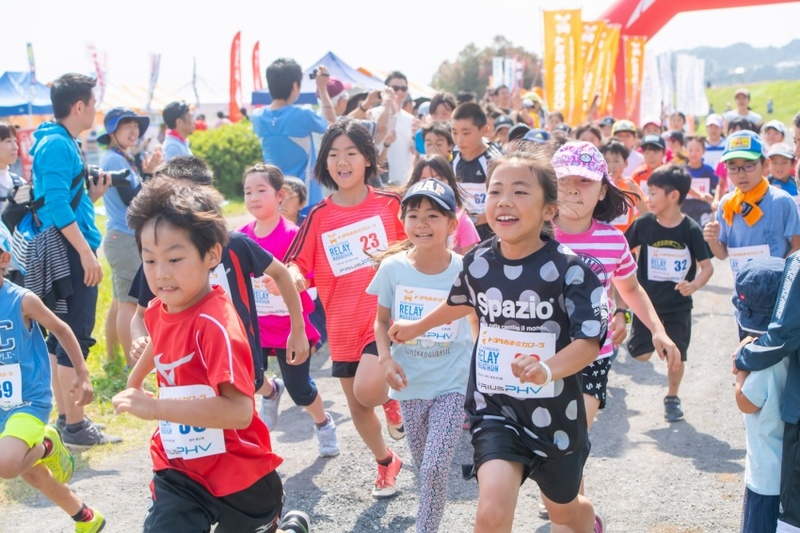 It was very fun watching all the kids try their best and finish at the finish line. 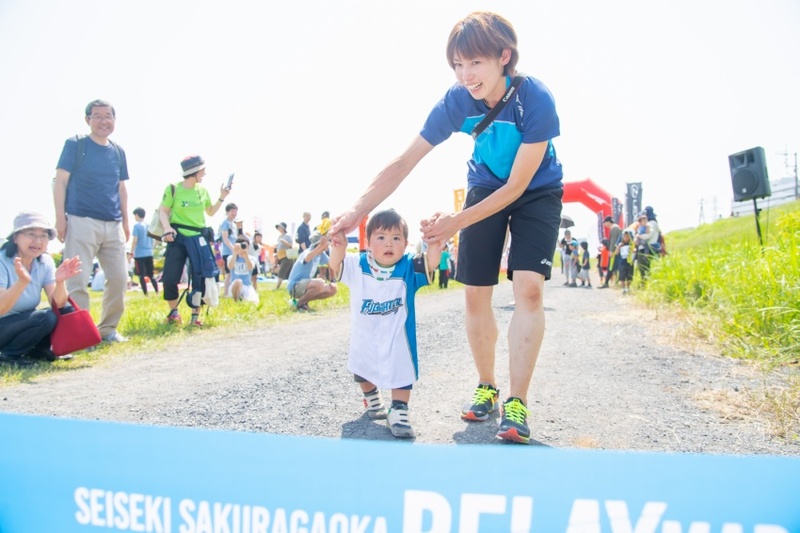 The next race was the young kids race (Hiyoko)and it was so cute watching the little ones experience one of their first races! 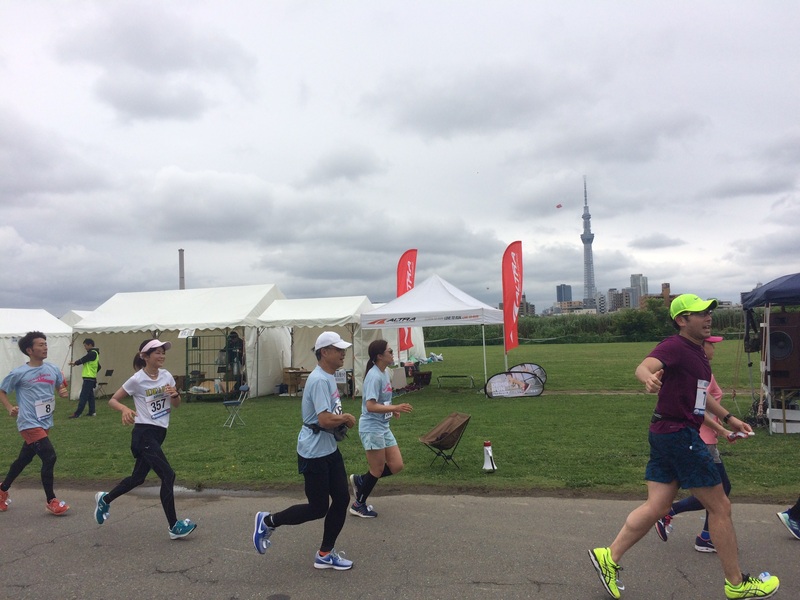 In the meantime, the various relay groups were getting ready for the main event of the day, the full marathon relay race segmented into 2.5km sections. 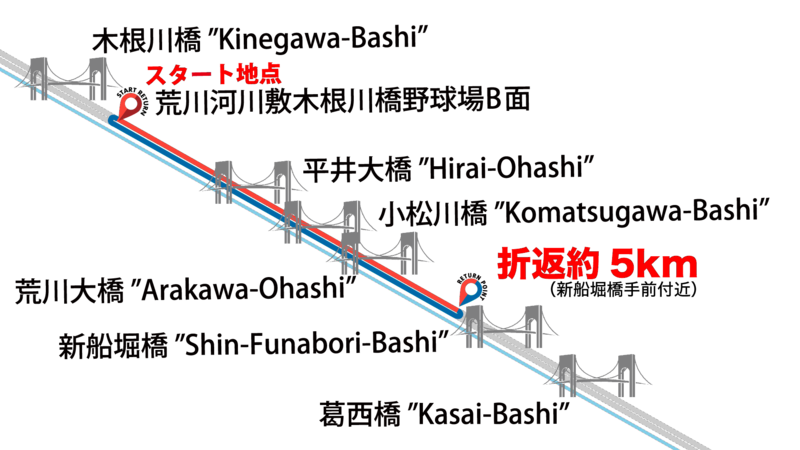 Below is a picture of the course map. 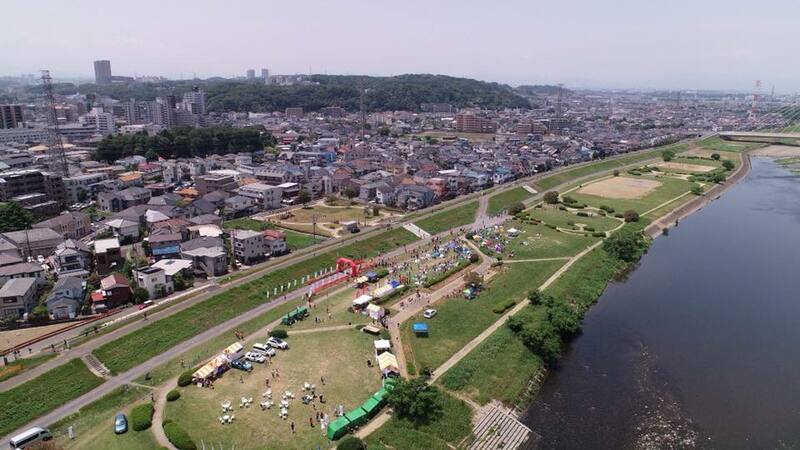 Runners do an out-and-back course along the Tama river. 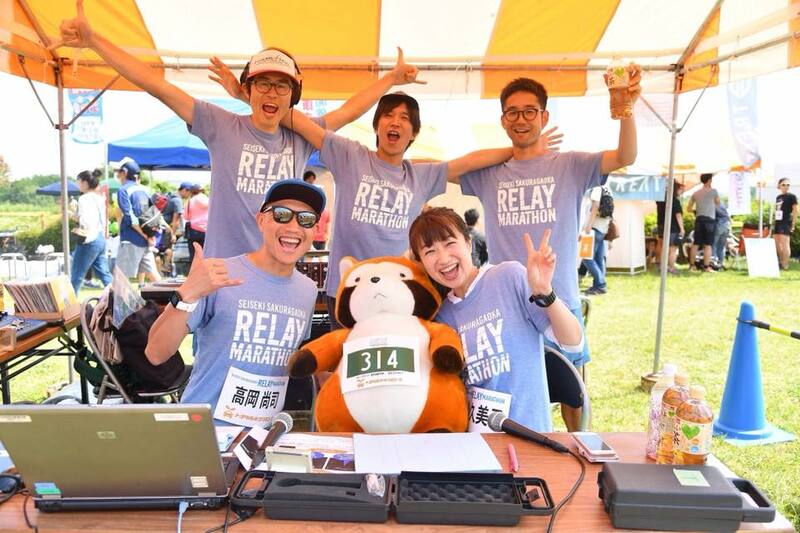 Relay teams can have anywhere from 4-10 members on each time and runners can run in any order and as many times as they like. 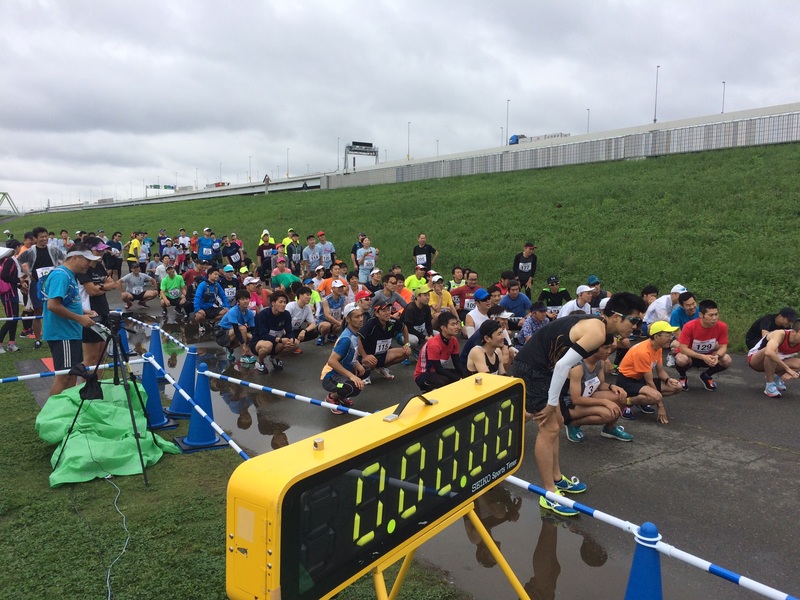 This race started at 10:30AM and the start was very exciting! 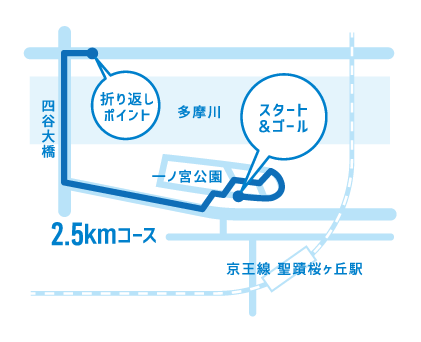 Each section of the relay runner carries the sash around the shoulder and passes it off to the next runner at the designated trade-off post. 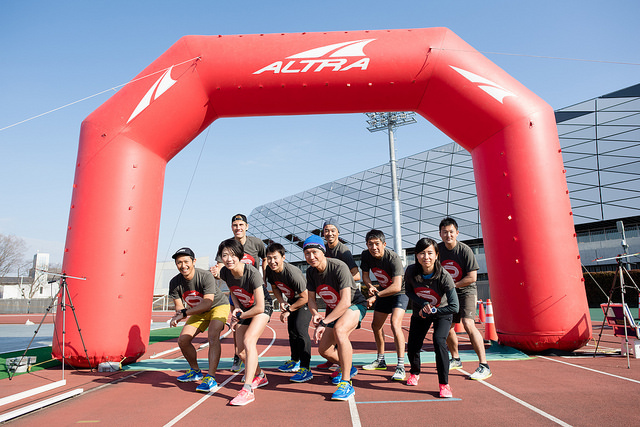 With ALTRA being a sponsor of this race, they did a shoe try-on event with 6 different models of shoes. 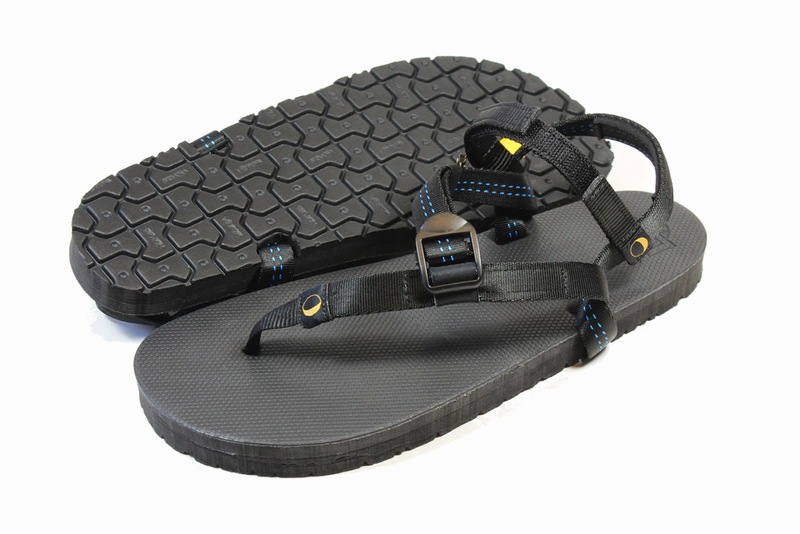 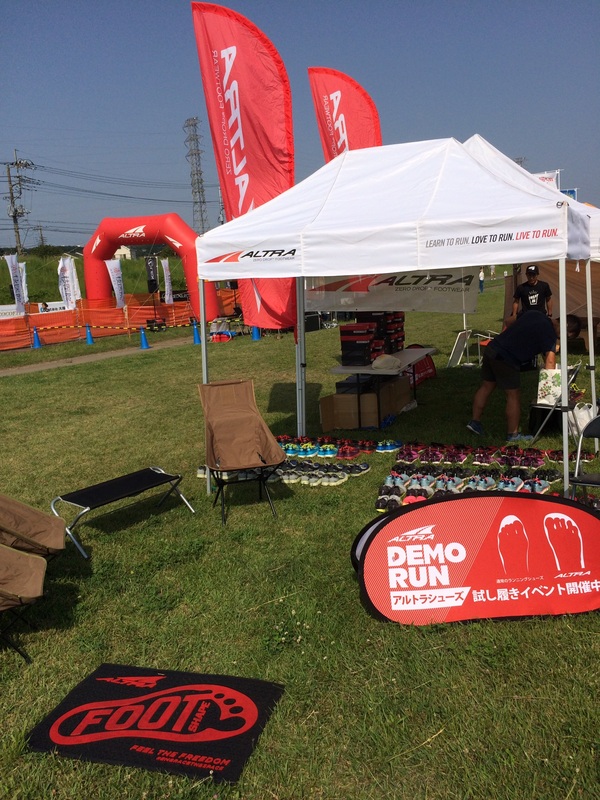 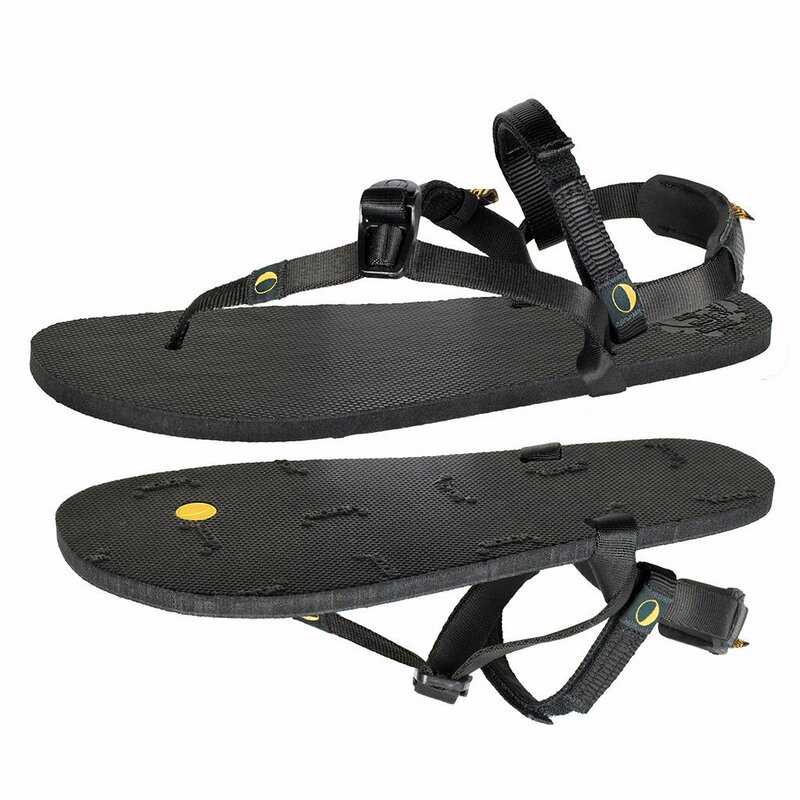 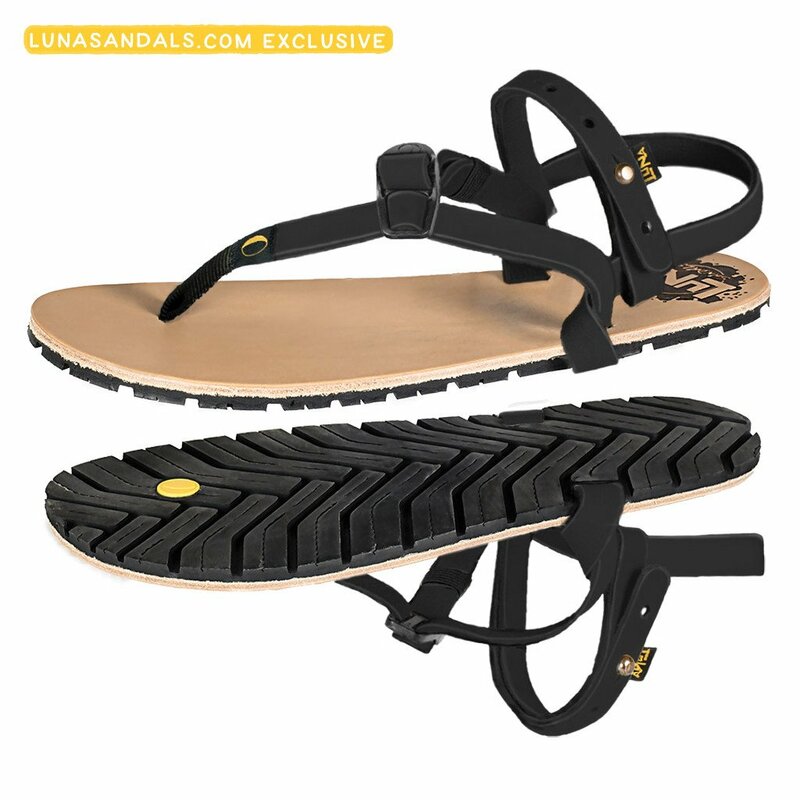 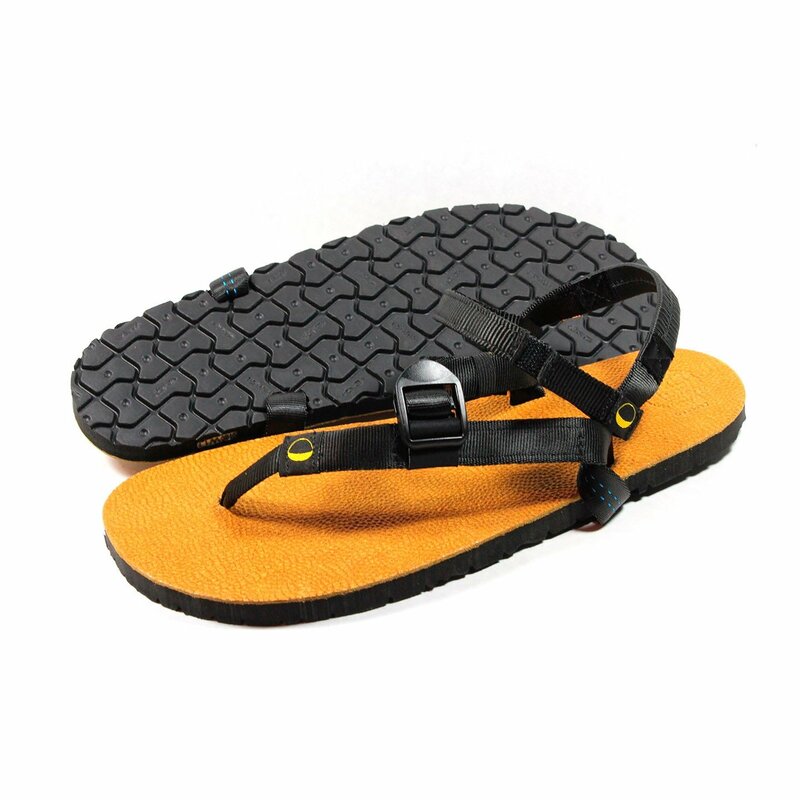 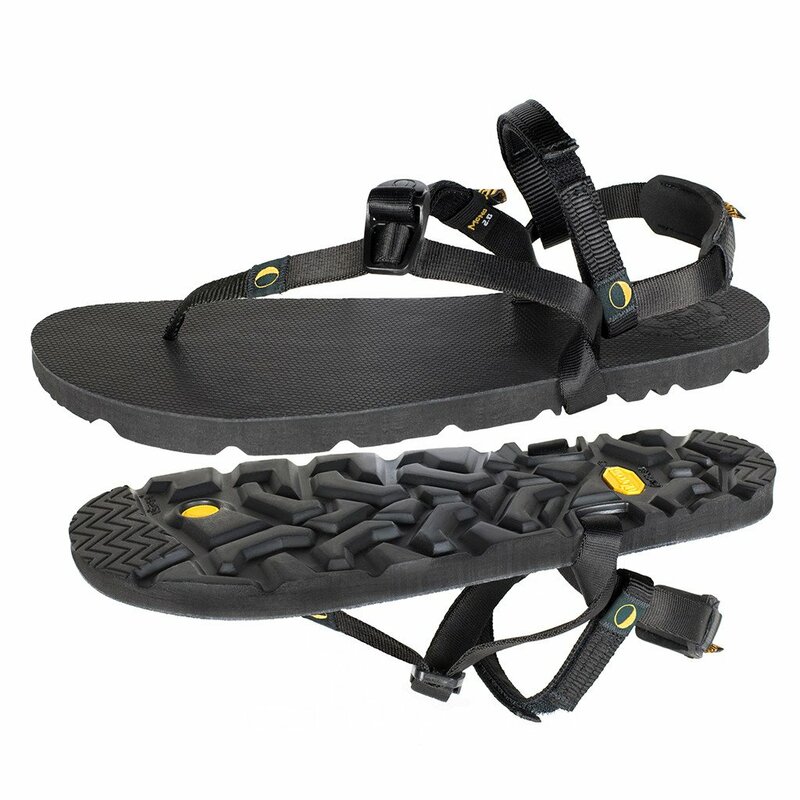 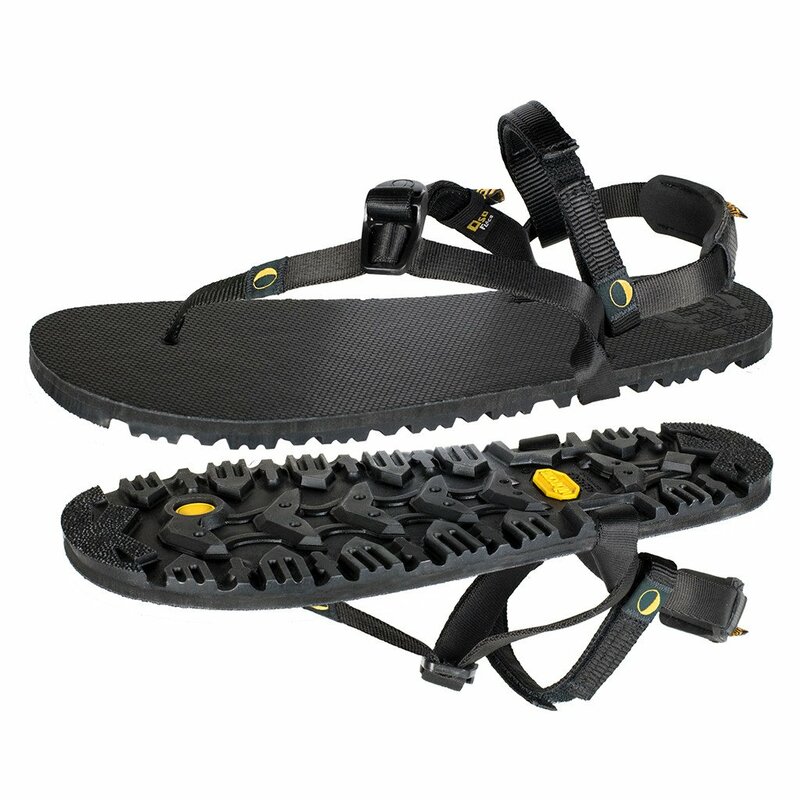 There was even ALTRA shoes for sales that the participants could buy at a discount price. 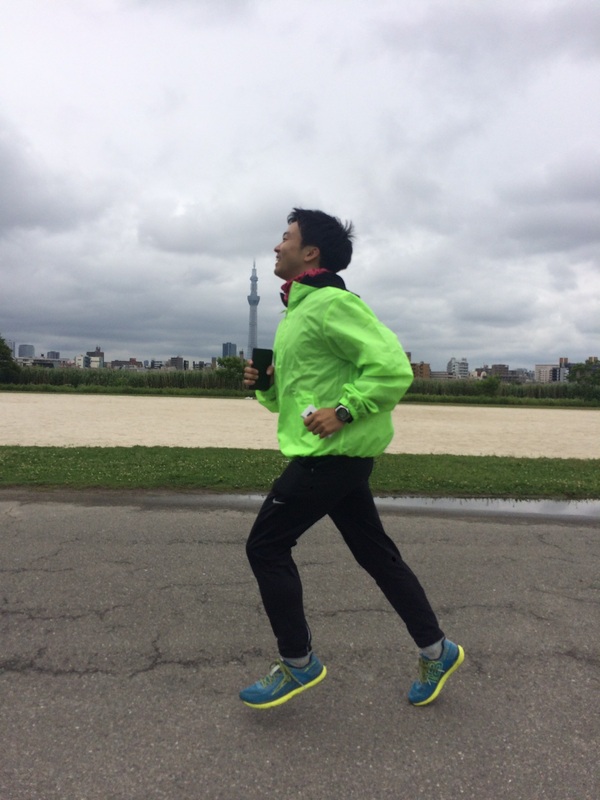 Guest runner Takaoka-san also came and was MCing along with running the relay himself. 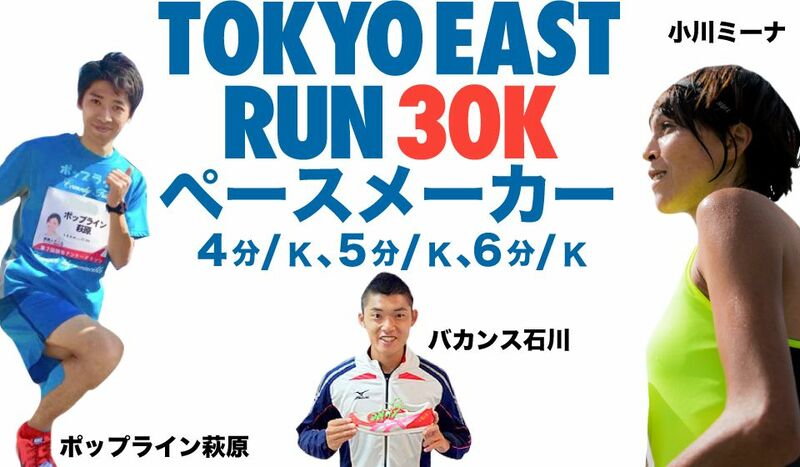 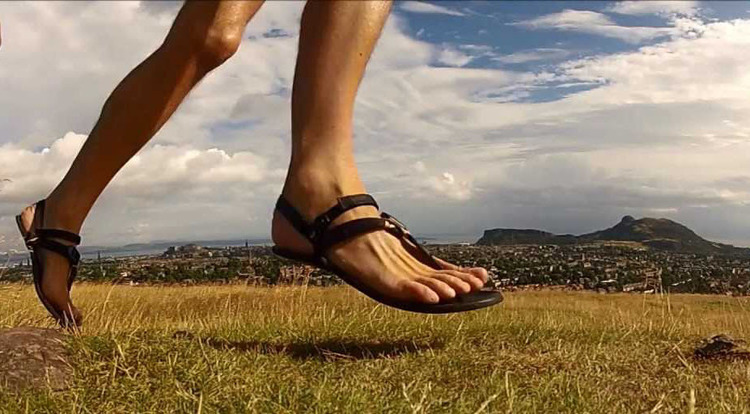 He is a famous barefoot runner in Japan and has wrote a book called Zero Base Running. 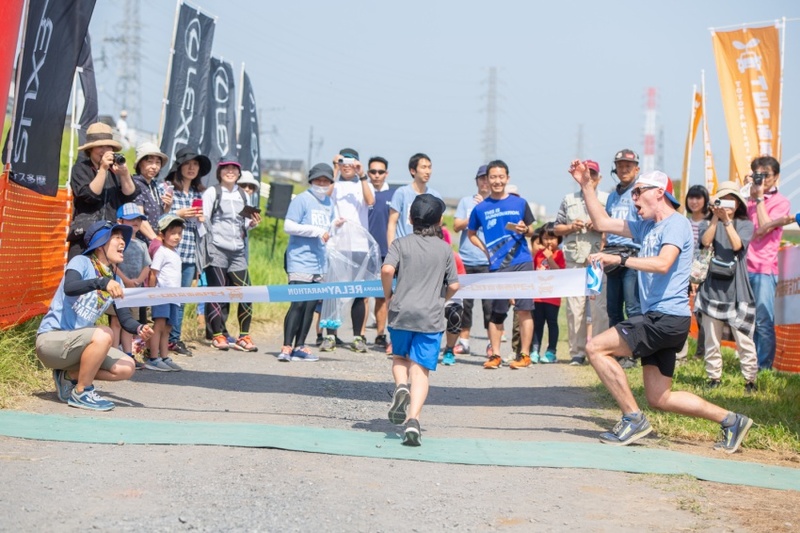 There were different local vendors at this event such at TAK Beans Coffee and GARDEN Burger.Runners took turns passing of the sash to their teammates and doing the 2.5km course along Tama River. 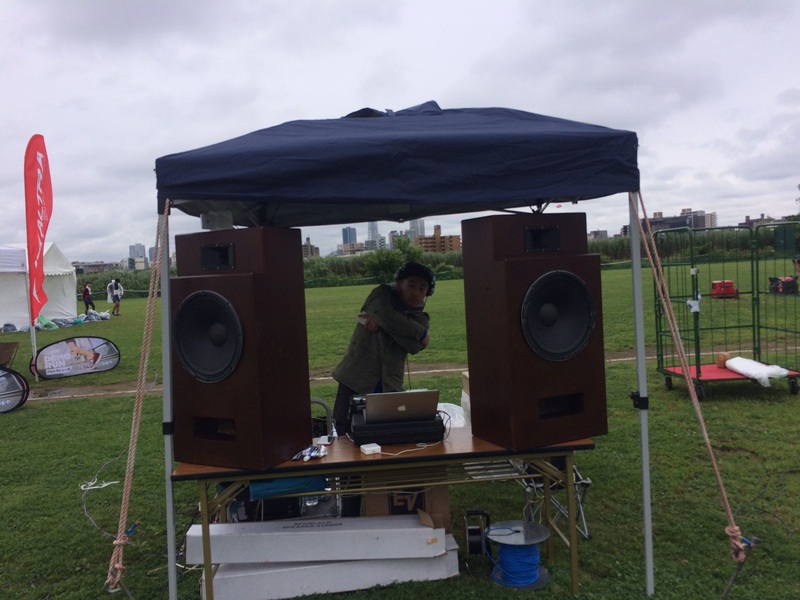 There was music being played during the event and multiple people MCing as well. 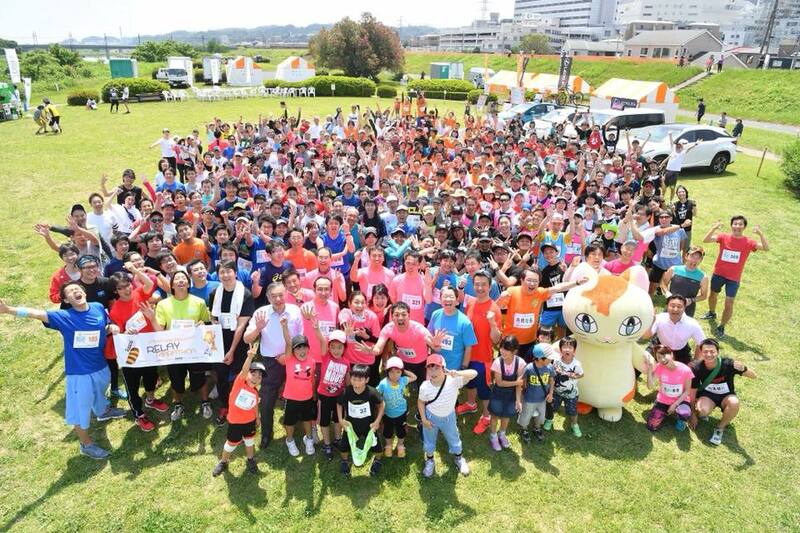 This year we had another great turn-out. 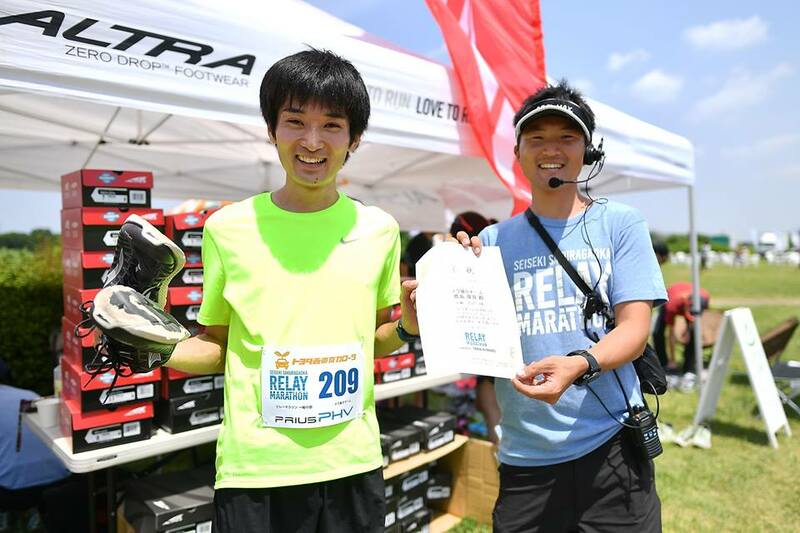 ALTRA shoes were giving out to some of the winners for the races. 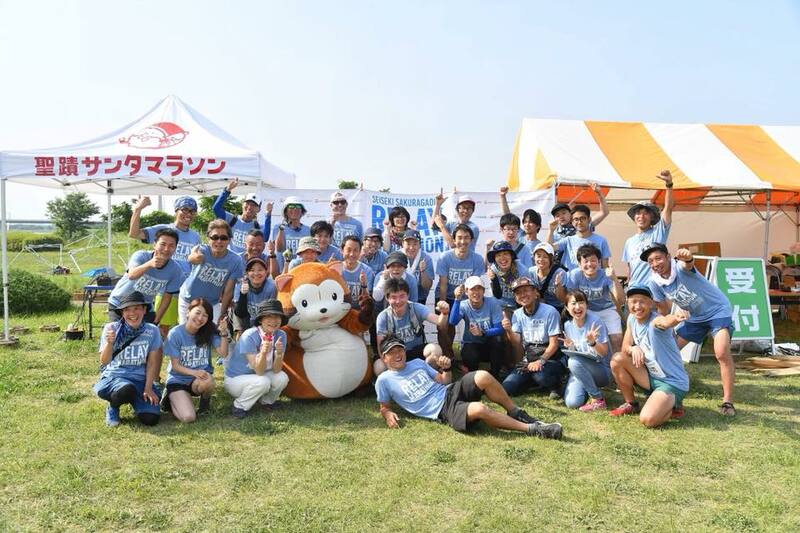 Thanks to all the volunteers for their hard work and helping the event come together so well! 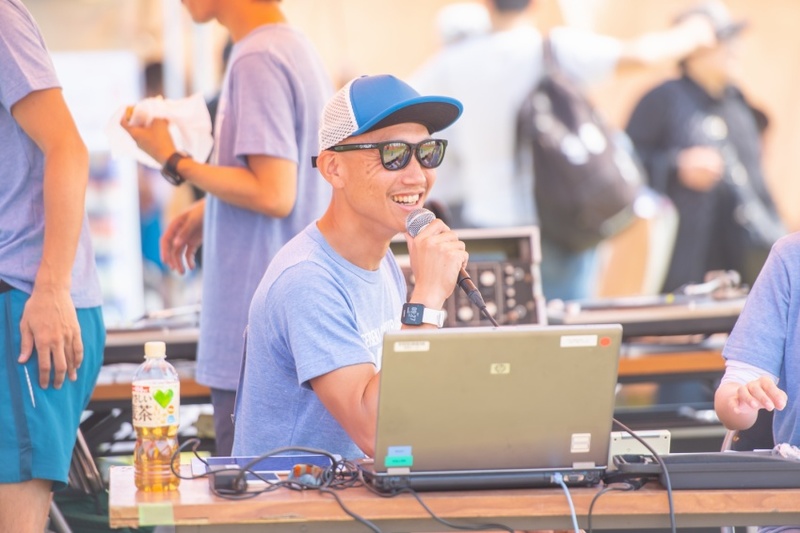 Join us for next year!? 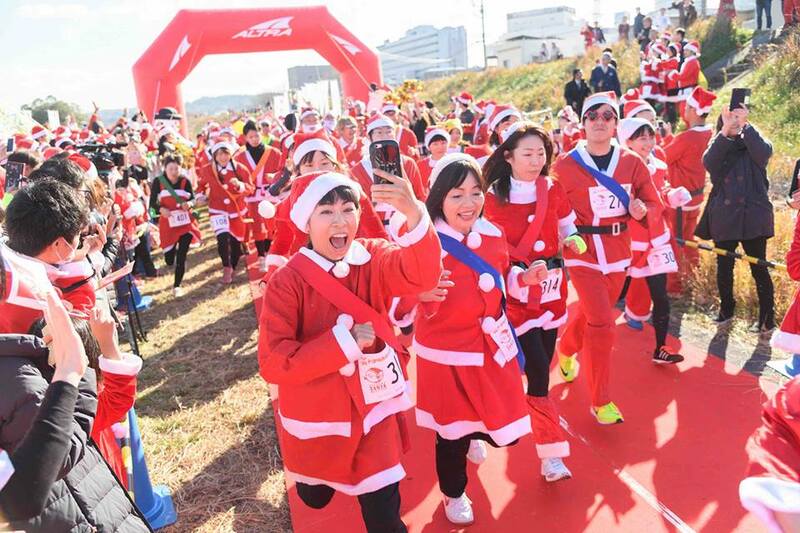 And don’t forget to check out information regrading the SANTA MARATHON this December!